In the olden days, all the careers that young boys and girls wanted to enter after their college was either medicine, engineering or the likes – careers that were well reputed and widely renowned. These were the careers which, if pursued well, could promise them a satisfactory annual income along with the perks. However for the last decade, both men and women have chosen a variety of unorthodox careers and have managed to not only make their name but also accomplished setting up a trend for owning that career. One of such is the wedding planning career. Perhaps taking up wedding planning as a livelihood sounds like a girlish thing to do, but it is in fact not quite so. Many men have successfully made their name and have enjoyed doing it just like any other profession of their choice. It has nothing to do with gender but a bit of creativity and management skills. If you are skillful, creative and have the knack for designing and interior décor then you can pull it off. This career path is well suited for those people who know their way around the town and city and have the knowledge of the best discount stores and companies that can offer an attractive deal. Of course when you start off, you cannot charge a big profit from the client as you need to establish your name and repertoire first. If you are skilled and have a natural talent of doing this then believe me, you are going to pull it off. More than advertising, this kind of business is propelled by the spread of fame through word of mouth. A wedding usually has hundreds of guests attending and if you are able to put up a good show in the first time, then everyone is going to be talking about the aspiring wedding planner who has great taste and charges nominally. Once you have successfully taken the charge of three to four weddings, you can initiate your portfolio buildup and maybe get an office, where clients can get in touch with you. If you know someone or have a friend who does great photography, maybe you can ask them to join your team. Clients really appreciate the whole package where the photography is also included. In the meanwhile, you can make yourself known to the managers of the different venues which you want to offer to the clients. Cook up some ideas for the wedding favors, flower bouquets, table centerpieces etc. ; work on them at home or your workplace, take professional photos of them and make a beautiful album to impress people. 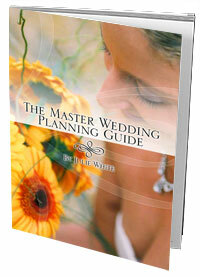 You can sign up for the various wedding planning courses that are offered both online and offline. This is not only going to give you a bit of confidence in your skill and knowledge but will also help you fetch clients.